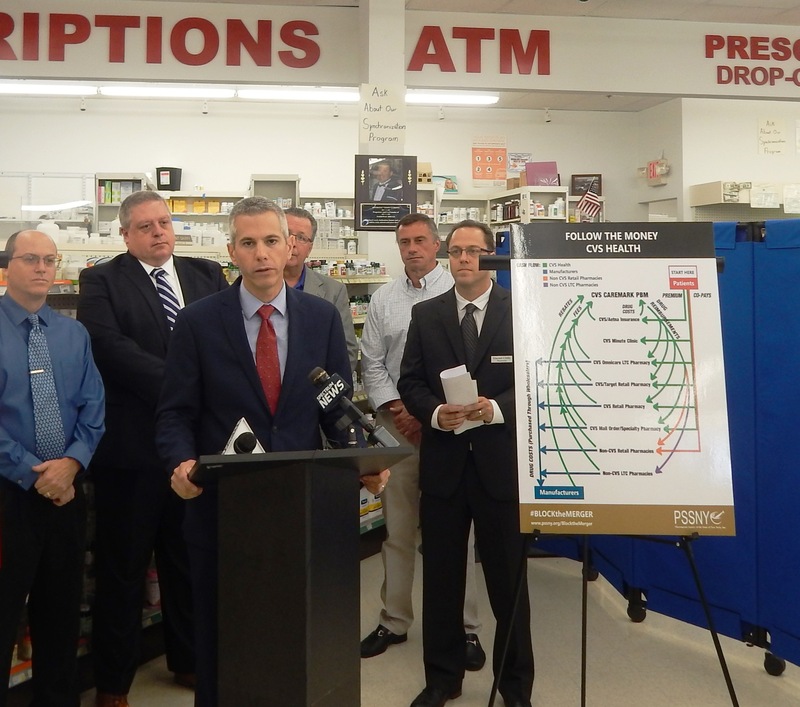 Last week Utica Assemblyman Anthony Brindisi asked the U.S. Department of Justice to block the proposed $69 billion merge of CVS Health and Aetna Insurance. Brindisi says allowing the merger could increase healthcare and prescription costs and could hurt smaller local pharmacies. “Yet again, a mega-merger being considered at the federal level could set off a domino effect of negative consequences for consumers in our area, but this time those consequences are tied to our local pharmacies and our very health—and the feds expect us to just swallow this giant poison pill and accept the consequence. Well, not if I can help it,” Brindisi said. “This merger has the potential to raise health care and prescription drug prices, while at the same time reducing the number of physicians people have to choose from. It will reduce competition and choices, and hurt the thousands of independent pharmacies so many New Yorkers rely on for personalized service. In a letter to Attorney General Sessions Brindisi, a Democrat, laid out additional concerns that the proposed merger could be a violation of federal anti-trust regulations and “create an entity that is simply too large and too complex to properly regulate”. Brindisi is not alone in his opposition to the merger. Last month the American Medical Association (AMA) sent a letter to the Assistant Attorney General stating “After very carefully considering this merger over the past months, the AMA has come to the conclusion that this merger would likely substantially lessen competition in many health care markets, to the detriment of patients. Accordingly, based on the mutually confirming analyses and conclusions presented by the nationally recognized experts and other experts, as well as extensive research, the AMA is now convinced that the proposed CVS-Aetna merger should be blocked. Last week Brindisi met with representatives of area independent pharmacies, including Parkway Drugs in North Utica who he says would be affected by the merger.